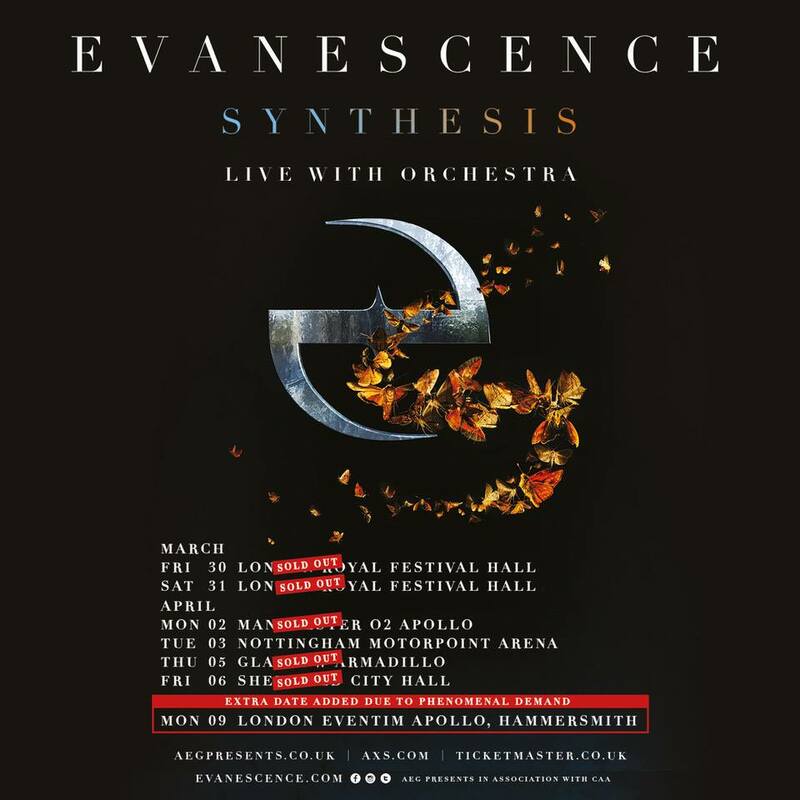 In what promises to be the biggest year for EVANESCENCE yet, the group’s“Synthesis Live” tour kicks off in the UK with two sold out nights at the Royal Festival Hall on March 30th and 31st. 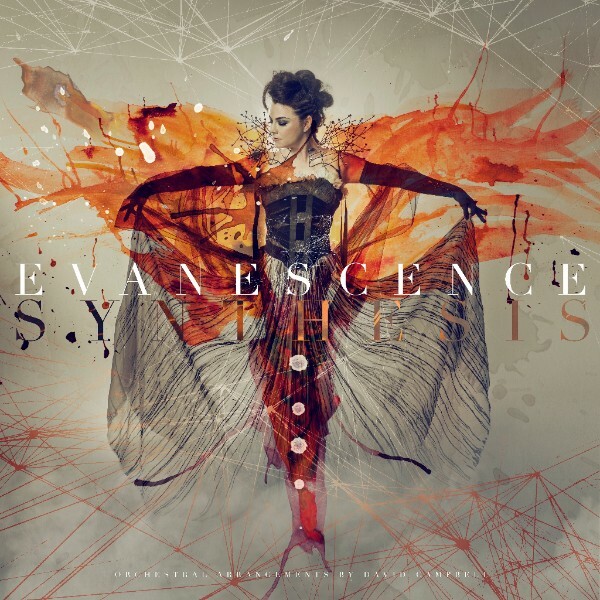 EVANESCENCE released SYNTHESIS, their fourth and most ambitious album to date in November last year. The band - lead singer-songwriter and pianist Amy Lee, bassist Tim McCord, drummer Will Hunt, lead guitarist/backing vocalist Troy McLawhorn and guitarist Jen Majura along with producers Will Hunt and orchestra arranger and composer David Campbell reworked classic Evanescence tracks along with two new songs, the first of which, entitled “Imperfection” can be heard HERE. The album includes a guest performance by celebrated violinist Lindsey Stirling on “Hi-Lo” the other new song on the album. EVANESCENCE has won two GRAMMY Awards including “Best New Artist” and “Best Hard Rock Performance,” out of a total of seven career nominations. Following multiple worldwide tours, EVANESCENCE released their first live album, Anywhere But Home, which sold more than one million copies worldwide. Next, the band released their second studio album, The Open Door, which went on to sell more than five million copies. Their self-titled third album debuted at #1 on the Billboard Top 200 chart. 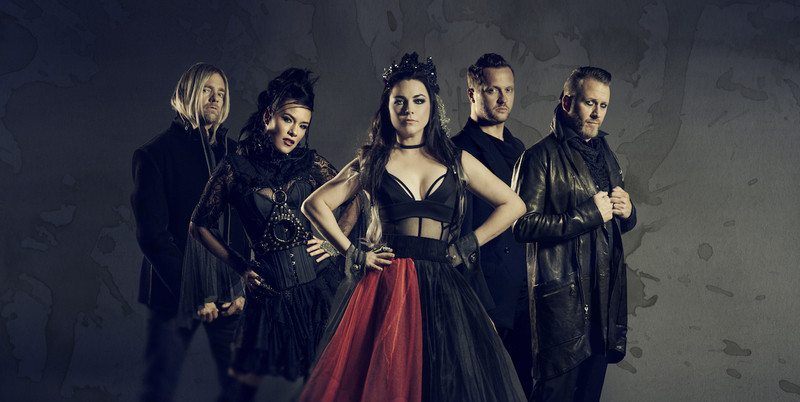 After touring European festivals and shows in 2016 and early 2017, EVANESCENCE--lead singer-songwriter and pianist AMY LEE, bassist TIM MCCORD, drummer WILL HUNT, lead guitarist/backing vocalist TROY MCLAWHORN and guitarist JEN MAJURA—go down both very new and familiar paths for their fourth and most ambitious release to date, SYNTHESIS.